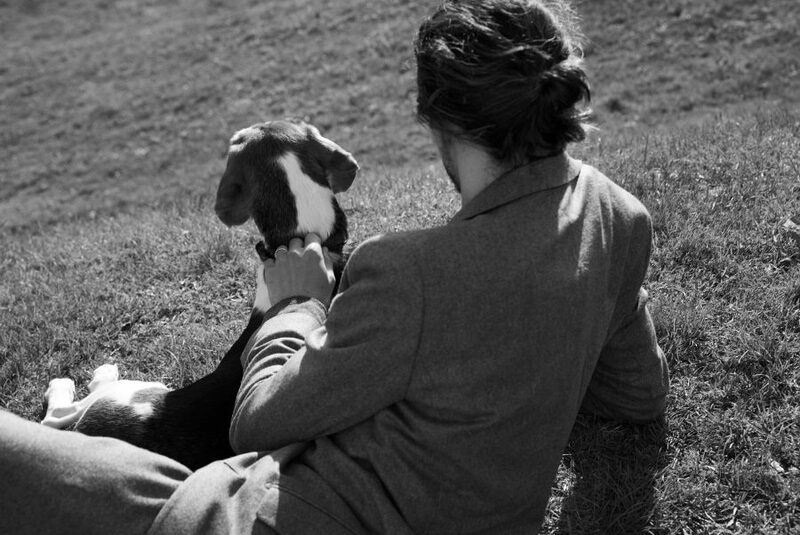 WOMEN: For the Autumn Winter 2018 campaign, Filippa K captures Swedish model Sara Blomqvist and her family – fellow model Jeremy Young, their twoyear- old kid Bo and the French bulldog Astrid – during a weekend off in the tranquillity of upstate New York. Taking the time to be together and downshifting towards a more elemental life corresponds well with the core philosophy of Filippa K and the brand’s belief that simplicity is the purest form of luxury. And just like previous season, Filippa Knutsson has chosen to work with photographer Camilla Åkrans and stylist Lisa Lindqwister, celebrating the power of creative relationships. This season also marks a new beginning at Filippa K, with founder Filippa Knutsson returning as Creative Director, taking the brand back to its roots in the Scandinavian design tradition of warm minimalism and functionality combined with an international outlook. The Autumn Winter 2018 collection is created around the idea of a perfect capsule wardrobe. Every piece is considered with great care and developed with close attention to cut and detail. A cashmere wool coat drapes softly over a sharply tailored suit; a sheer organza blouse teams up with slouchy wool trousers; a chunky wool turtleneck is carelessly tucked into a full evening skirt. It’s a consistently clean look, signified by the simple sophistication of Filippa K but rich in sensuality and personality and made to last long beyond the shift of seasons. MEN: For the Autumn Winter 2018 campaign, Filippa K captures model Jeremy Young and his family, Swedish model Sara Blomqvist, their two-yearold kid Bo and the French bulldog Astrid, during a weekend off in the tranquillity of upstate New York. Taking the time to be together and downshifting towards a more elemental life corresponds well with the core philosophy of Filippa K and the brand’s belief that simplicity is the purest form of luxury. And just like previous season, Filippa Knutsson has chosen to work with photographer Camilla Åkrans and stylist Lisa Lindqwister, celebrating the power of creative relationships. menswear with a contemporary twist, taking the collection back to the 90s roots of Filippa K. The silhouette is looser than previous seasons, introducing slouchy pleat trousers, unlined soft blazers and roomy coats. The collection embraces an understated and effortless elegance that’s characteristically Scandinavian, but at the very heart of Filippa K, too.